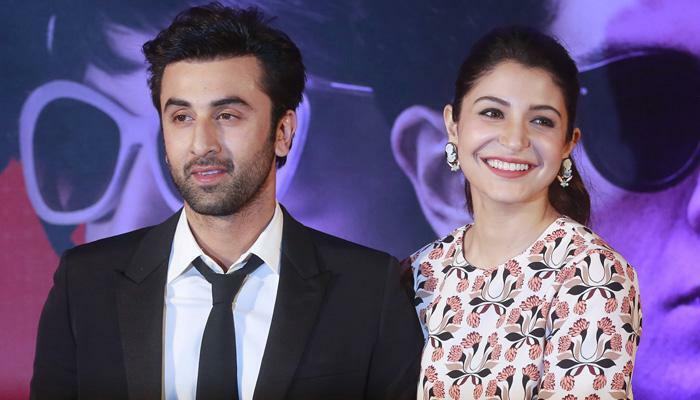 Clover Wootton, who designed the eerie look for actor Anushka Sharma in "Pari", says she once lied about the actor's role to Ranbir Kapoor. Clover, who is also working on the Dutt biopic with Ranbir, decided to trick the star into believing that his "Ae Dil Hai Mushkil" co-actor was playing the character of a dog woman in the upcoming movie. "So when Ranbir asked me about 'Pari', I told him that Anushka is playing a dog woman - half human and half dog. I went on to tell him how much she is working towards getting into her character, and how she is observing Dude (her pet dog) to get it all right," the look designer said in a statement. Clover said she and Anushka let Ranbir be under the false impression, which resulted in her "Sui Dhaaga" co-star Varun Dhawan also falling prey to the Chinese whispers. "After giving all that nonsense, we let Ranbir stew. After, four or five months, Anushka and I met again for 'Sui Dhaaga', which stars Varun Dhawan. And, the first thing he asked her was - 'I heard you are playing a dog in 'Pari', how's that going?' "We still laugh our hearts out thinking about where it came from!" she added. Produced by Clean Slate Films and presented by KriArj Entertainment and Kyta Productions, "Pari" releases tomorrow. The movie, directed by Prosit Roy, will be released worldwide by Pooja Films.